Apart from financial incentives the two key interesting elements are Yarn Bank and financial assistance for the solar energy scheme. The scheme was launched simultaneously in three major clusters, Tirupur, Ludhiana and Kolkata. Industry representatives said the scheme would help in achieving the vision target of Rs 1 trillion by 2022. The sector accounts for 27 per cent of the total cloth production and about 15 per cent of the knitted fabric is exported. Raja M Shanmugham, President, Tirupur Exporters Association said the scheme would be highly supportive through financial assistance and beneficial to the knitting and knitwear MSMEs in Tirupur and pointed out that this will also encourage new entrepreneurs to setup units. 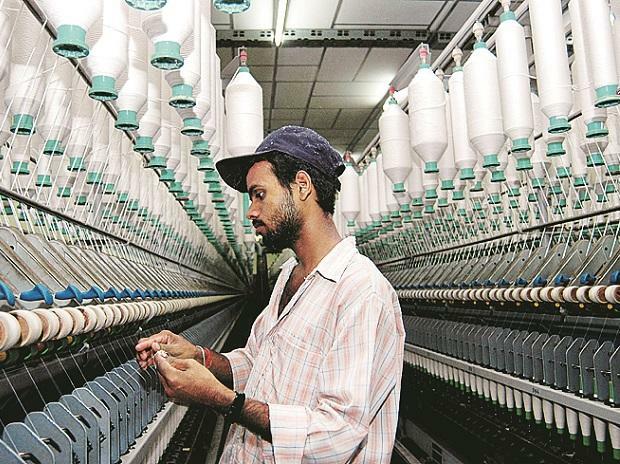 The yarn bank scheme for knitting and knitwear units will provide an interest-free corpus fund of a maximum of up to Rs 2 crore per yarn bank to a Special Purpose Vehicle (SPV).The Bank would enable small knitting and knitwear units to purchase the yarn at wholesale rate and in large quanitites by avoiding middle man/ local supplier's charges. Under the Solar energy scheme for knitting and knitwear units, the government will provide financial assistance / capital subsidy to the extent of 50%, 75% and 90% of the basic cost of the solar plant to the applicants of General Category, SC, and ST respectively. Under ongrid upto 45KW a maximum of Rs 63,000 will be provided and under offgrid upto 45 KW, a maximum sum of Rs 81,000 will be provided. The other key components includes creation of new service centers on PPP model by industry/ associations in the knitting and knitwear clusters. The government would give financial assitance upto Rs 2 crore per center to purchase testing equipments ans machineries. The scheme also supports modernisation and upgradation of existing powerloom service centres/ institutions run by textile research associations and Group Workshed Scheme for knitting and knitwear units.